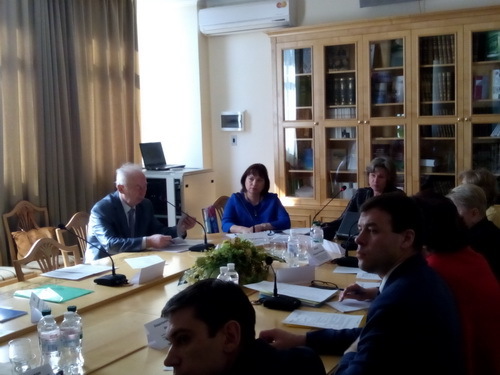 On April 11, 2017 in State Institution "OM Marzeiev Institute for Public Health of the National Academy of Medical Sciences of Ukraine (NAMSU)" was held a One-day multi-stakeholder workshop for discuss and initiation of the project "Strengthening the capacity for the rational use of biocides (pesticides and disinfectants) to reduce the impact on the population in Ukraine." There were taken part the representatives of the Ministry of Health of Ukraine, the National Academy of Medical Sciences of Ukraine (State Institution "OM Marzeiev Institute for Public Health of the NAMS of Ukraine", State Institution "Institute of Occupational Health of the Academy of NAMSU"), the National Medical University, industry, agriculture, public organizations. Dr. Zastenska Irina, representative of the WHO European Center for Environment and Health, familiarized participants with the best practices in the management of hazardous chemicals (European Union regulations). 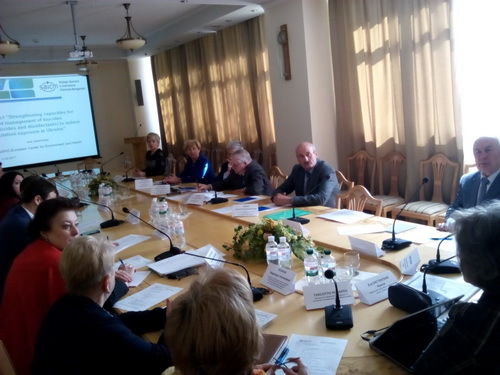 The analysis of the situation on the management of biocides (pesticides and disinfectants) in Ukraine (legislation, responsible institutions, existing registration systems, risk assessment, available information, existing national plans of action, available potential in this direction) were made by leading scientists of the State Institution "OM Marzeiev Institute for Public Health of the NAMS of Ukraine" and representatives from other interested organizations. 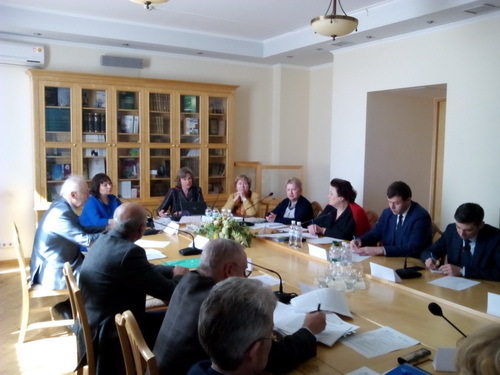 According to the project "Strengthening the capacity for the rational use of biocides (pesticides and disinfectants) to reduce the impact on the population in Ukraine", the future steps were planned for the implementation project and organization of measures for safety and regulation of biocides in Ukraine to reduce the impact on public health in Ukraine.